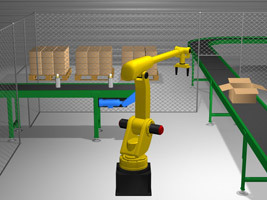 RoboLogix introduces the concepts of multi-axes robots and demonstrates how they can be used in a plant or manufacturing system in various 3D simulation environments. 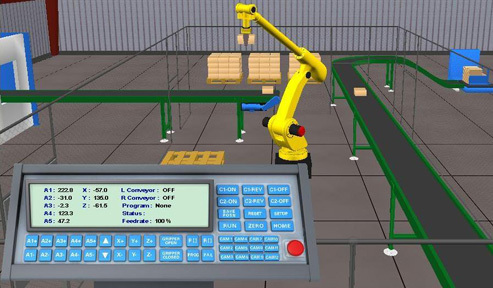 The primary focus of the software is on automated manufacturing processes and allows for the programming, testing, and debugging of robot programs. 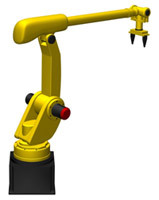 Users gain practical, "hands on" programming of an industrial robot through a combination of teach-pendant programming, and 3D simulation environments. These environments include conveyor/palletizing, pick and place, spray painting and welding.